If you’re self-employed and didn’t keep optimal records for your taxes last year, you’re not alone. In fact, a recent QuickBooks survey of self-employed professionals and small business owners found that only 15% of all respondents said that they deduct 100% of what’s allowed every year. Not knowing what you can or can’t deduct was the leading obstacle for those respondents who don’t take full advantage of tax deductions. But there are other common obstacles — nearly 22% of people said they don’t deduct everything because they can’t remember all their expenses, and another 17% said it’s because they lose their receipts. Does any of this sound familiar? 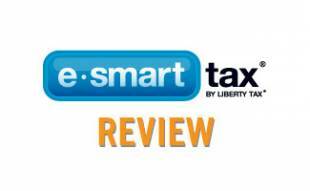 Whether you need to brush up on what deductions you can take or need tips on getting organized, we’re here to help you get you on track to obtain your optimal tax return. Who Does The IRS Consider Self-Employed? You’re otherwise in business for yourself (including a part-time business). Which Self-Employment Expenses Are Tax Deductible? Unless you’ve already done your homework, you may be surprised by some of the self-employment tax deductions you can take. 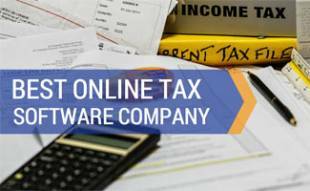 Tip: Tax software can also help you pinpoint write-offs you might miss. You’re allowed to deduct a percentage of home expenses if you have a dedicated space in your home that you use exclusively for business. These expenses can include rent or mortgage payments, utilities, property taxes, homeowners insurance and other related costs. For example, if your home office occupies 10% of your home, then 10% of your annual rent/mortgage payment, electricity bill and so on are tax deductible. If you don’t want to do all of these calculations, the IRS also gives you a simplified method for calculating home office expenses — you can opt to simply deduct $5 for every square foot that qualifies for the deduction (up to 300 square feet). If you use your personal vehicle to drive to a client’s location, make deliveries or for other work-related purposes, you can qualify for this deduction. There are two ways to approach this — by claiming a standard mileage deduction or adding up actual expenses. The standard mileage rate for 2019 is 58¢ per mile (make sure you keep records of the dates and miles you drive). The actual expense method requires you to calculate a percentage of your car insurance, gas, vehicle maintenance and depreciation. Most self-employed workers must pay the entire 15.3% Social Security and Medicare tax (instead of paying half as an employee), but you get to write off half of the 15.3% if you’re self-employed. You don’t have to itemize to take advantage of this deduction. If you’re self-employed and pay for your health insurance (as well as your spouse and dependents), you can deduct all of your health, dental and qualified long-term care insurance premiums. You can also deduct premiums that you paid to cover children younger than 27, even if they aren’t dependents. Note: You’re ineligible for the health insurance deduction if you could’ve enrolled in your spouse’s employer’s healthcare plan but chose not to. Travel costs related to business trips (e.g., lodging, airfare, rental cars, local transportation) are deductible with certain conditions. Your travel must be primarily for business, be overnight and away from your residence (typically in another city). This deduction can be a red flag for an IRS audit, so make sure you keep complete records and receipts for all of your business travel expenses and activities. You may be able to deduct office supplies and equipment, including computers, printers, paper, etc., if you use them exclusively for work-related purposes. You can qualify for a deduction if your educational or professional development expenses relate to your current profession. You can’t get a tax write-off for pursuing a new career. These expenses can include online courses, webinars, e-books, college classes, etc. Depending on your situation, you may also be able to qualify for the Lifetime Learning Credit (up to $2,000). You can also write off subscriptions for journals and trade publications as long as they’re directly related to your work. A retirement plan is great way to save money and reduce your tax bill. 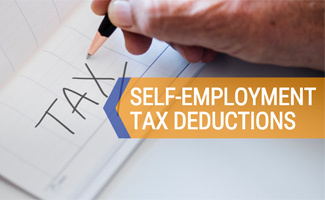 Self-employed individuals with no employees can contribute pre-tax money to a solo 401(k) or a simplified employee pension (SEP), both of which have higher annual limits than regular individual retirement accounts (IRAs). You may qualify for the Saver’s Credit, which is a tax credit of up to $2,000 ($4,000 for married couples) for contributions to your retirement plan. The catch is, your adjusted gross income cap must be equal to or less than $32,000 for singles and $64,000 for couples (for 2019). You can also write off advertising and promotional expenses, public transportation costs, restaurant meals and other entertainment costs as long as they were necessary business expenses. Knowing all of the write-offs you can take is just the first step. The key to taking advantage of your optimal tax deductions is to keep track of your expenses and receipts all year. Here are some tips to keep you on top of your expense tracking and receipts. Keeping and managing all of your work-related receipts is no easy endeavor. But technology makes it easier than ever before. Many software programs and apps allow you to take a quick snap of your receipts. All you have to do is log your snapshot in the app, and it’s saved to the cloud. You can even pre-set categories, so your receipts get automatically organized. 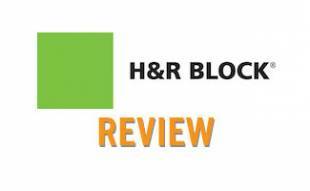 This is a huge time saver once you hit tax-filing time. The best online small business accounting software is affordable and gives you multiple tools to keep track of all your business expenses, invoicing and more in one place. You can also sync these platforms to your banking accounts to keep everything organized and get the overall picture of how your business is doing. For example, in addition to receipt capture, QuickBooks Self-Employed helps you track your business income, expenses, mileage tracking and more throughout the year. When it’s time to file your taxes, TurboTax Self-Employed comes in super handy. While it’s not cheap (starting at $69.99 per year), this product can save you a ton of time and headaches. 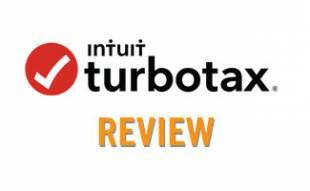 TurboTax Self-Employed takes you through a series of simple questions during the filing process and prompts you through all the tax deductions and credits you’re eligible for based on your answers. This process helps uncover expenses you didn’t know you could claim. And if you upgrade your subscription, you can get all of your industry-specific deductions reviewed by a live CPA or EA. No one likes taxes, but they can be even more daunting for those who are self-employed. Tax obligations and deductions can be complex and confusing, and this article doesn’t list all the deductions you can take. So we encourage you to seek advice from a tax advisor and use an online tax filing service to optimize your tax benefits. Note: Please consult a tax professional for advice that is specific to your situation. What’s your biggest challenge when it comes to filing taxes for your self-employed venture?